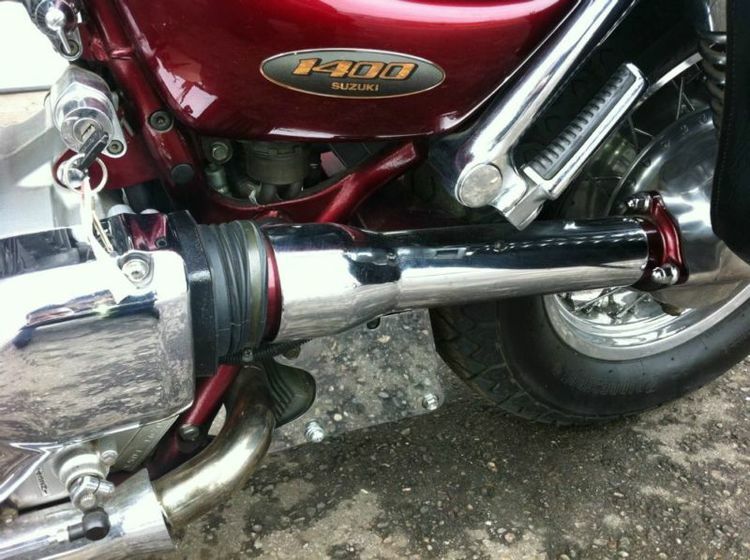 1997 SUZUKI INTRUDER 1400 BIKE FOR SALE !!! 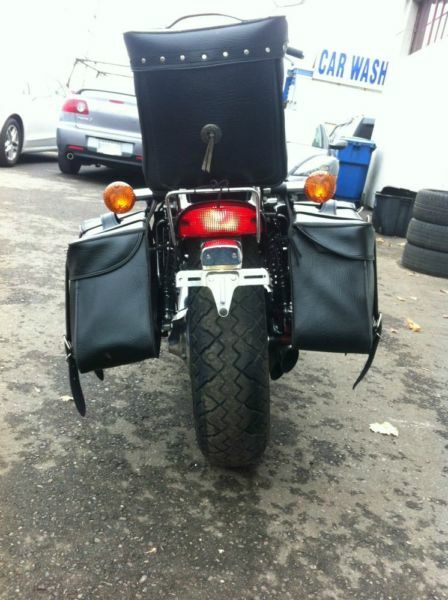 Selling this vintage 1997 Suzuki Intruder 1400 for $3900 or best offer. This is a limited edition collectors bike that is a Harley replica and very difficult to find. Only 2400 were every made, globally. 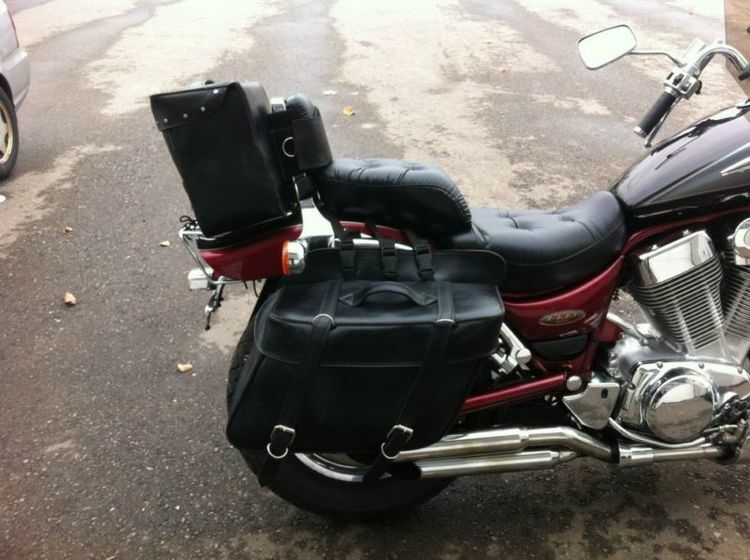 The bike includes leather front & side bags and accessories for storage that can easily be removed, which have a value of $1500. Fits two people (has 2 seats) & has been well maintained & serviced. It also includes new chip performance computer enhanced technology & is axle driven. The bike runs great & is ready for the road. Some features include: Top-Gear Ratio Drops Engine Speed by About 300 rpm at 70 mph Which Increases The Fuel Mileage, Engine Type: V2, four stroke, Power: 61.00 HP (44.5 kW)) @ 5000 RPM, Torque: 105.00 Nm (10.7 kgf-m or 77.4 ft.lbs) @ 2800 RPM, Top Speed: 170.0 km/h (105.6 mph), Valves Per Cylinder: 3, Cooling System: Oil & Air, Gearbox: 5 Speed Transmission Shafts & Shift Mechanism, Transmission Type/Final Drive: Shaft Drive (Cardan), Front & Rear Brakes: Single Disc, Dry Weight: 247.0 kg (544.5 pounds) & Power/Weight Radio: 0.2470 HP/kg.